If you’re running a small business and you want to rank your website for keywords, you need to optimize the content for search engines AND ensure that it offers value to readers. Once you get into the process of optimizing content for search and benefiting from the results, you’ll be happy that you did. Search Engine Optimization (SEO) is painstaking work. That’s why many business owners leave it to a professional. But for DYI business owners, there are SEO tools for local businesses that make the job easier. The results more than compensate for the effort. SEO yields higher gains than what you can hope to achieve from any other kind of advertising, be it on social media or pay-per-click. Plus, the gains last for long after the initial work has been completed, provided you keep working on your website. Here are 7 SEO tools for local businesses wanting to do it themselves. It’s a free keyword research tool and an excellent starting point to get an understanding of the keywords you should consider, the different variations possible, and the ease or difficulty of ranking associated with each keyword or key phrase. The tool informs you on the number of searches and CPC (cost-per-click) for a chosen keyword. It’s a paid tool packed with features. It’s one of the original search engine marketing toolkits that enable a holistic approach that includes on-page SEO, backlink analysis, keyword research, and competitor research. 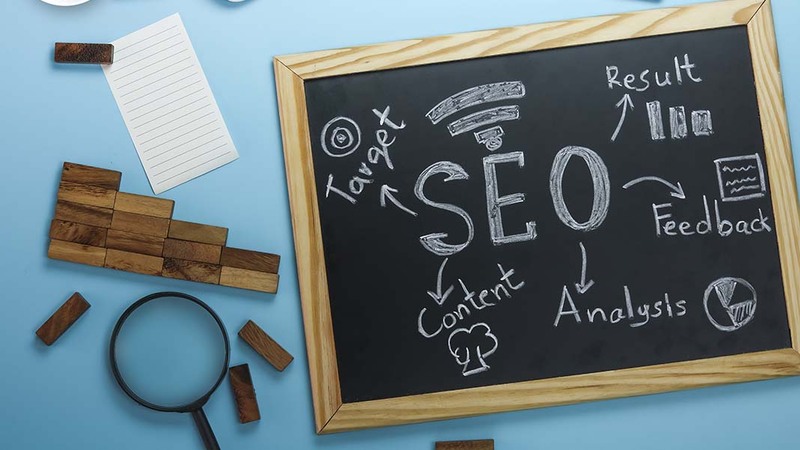 The last-mentioned is an important aspect of SEO because it advises you of the kind of intelligent effort you need to put out and the budget you need to put up for outranking your competitor. There’s big money in long tail keywords and more they’re often easier to rank for. Local businesses can benefit a lot by focusing on long tail keywords. For example, people don’t really search for “Chinese food joints” in isolation. They search for “Chinese food joints in a neighborhood or a city.” It’s the same for any business, and there are multiple keyword combinations possible for a root keyword…the long tail. You may find this tool to be a real value for your money tool compared to some other, pricier ones. It’s an invaluable tool for every business that wishes to benefit from SEO. Best of all, it’s free. The insight available with Analytics can drive not just your SEO efforts but the entire online marketing campaign for your business. Google Analytics API is the source for most of the data that other SEO tools offer. Spend time with Analytics; you’ll unearth information that can teach you and guide your SEO efforts. Mobile traffic, site search, bounce rate, etc., there’s a lot of data here. Use it in conjunction with the Google Search Console, and you may find that these are the only two SEO tools that you need. It’s a big timesaver as it puts your SEO monitoring on auto mode. You can track search results even for zip codes. That’s a level of minutiae that SEO agencies, local businesses, and multinationals can benefit from. The site also has a useful array of free tools that include a backlink checker, website crawler, keyword grouper, and more. By far the most popular SEO plugin for WordPress blogs. It lets you create SEO-friendly content that is easier to rank for. It’s a freemium. You can easily make do with the free version. If you’re using WordPress, you must have this plugin. It’s a cool package with lots of features including breadcrumbs, Flesch reading score, and more. No list of SEO tools for local businesses would be complete without mentioning Moz. Moz is recognized as one of the leading SEO software suites. Many of its metrics, notably Domain Authority, are accepted as industry standards. While Moz has plenty to offer, it’s not for everyone. It has a much better and friendlier user interface than many of its competitors. Its ranking index can rank many keywords and allows the user to track local traffic. So if you run an insurance agency in Westchester for instance, you can track “car insurance companies” in White Plains and in Rye. On the other hand, if you’re looking for help in other aspects of online marketing, PPC, display, or social marketing, Moz is no help. This guide of SEO tools for local businesses is not complete but does include the major players in the field. There are companies that service specific niches and you will be wise to explore your niche to find out if there are any. Once you get started with SEO, you realize that creating content in an intelligent manner is a very rewarding experience. The tools mentioned here can be used together to obtain a clear picture of what you need to do on-site and off-site to get your site to rank for chosen keywords. Finally, if you’re not a DYI internet marketer, drop us a line. We’re here to help.